I.S. 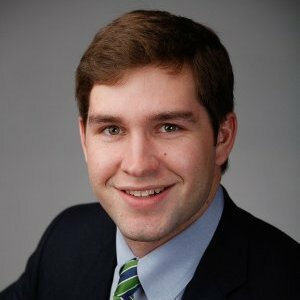 Dunklin is a gaduate of Davidson College, and worked on staff in the U.S. House of Representatives before pursuing his MBA at Darden. He was a chapter leader and active member of the Adam Smith Society on campus and graduated with his MBA in spring 2017. I've broken a dozen bones, but none of them because I've bungee jumped five times. Tell us how you curate your intellectual diet. I am always reading a current book, usually on a business or sociological topic and a historical book, either a book about history or a classic work. Right now I'm reading David McCullough's new book, American Spirit, and Jeff Pfeffer's book, Power. I read the WSJ and the FT daily. I also love quarterly journals. I get National Affairs (Yuval Levin is brilliant), Foreign Affairs, and the Trinity Forum. I'm a huge Motown and Berry Gordy fan, so I have to go with "Money, That's What I Want." Barrett Strong's version of this song was Motown's first hit. This sounds like the beginning of the best night of my life or a bad joke: a Scot, an Austrian, and an American all sit down to dinner, then they made fun of the Germans and left. From the National Meeting to SALT. Adam Smith has given us great access to thought leaders and influencers. Those are more of a bonus though — the connections it creates among students and the freedom members feel to have difficult conversations and ask tough questions are the real intellectual benefits. The business school curriculum is not known for its intellectual rigor, but Adam Smith has created a space for those discussions. Business schools don't know how much they're benefiting from what the Adam Smith Society creates, but they and the rest of the economy will figure it out eventually. I would put it towards my already up and running start-up, Rhoback. We're an activewear clothing brand producing top quality, fashionable performance gear for 18-35 year old men. We are self-financed now, but would love a million dollars to expand the line faster into new designs and types of gear. It's takes a lot of working capital to run a clothing brand and we are growing as fast as possible! Shameless plug, Rhoback is the perfect business school attire for those days on the golf course or squash court. Visit us at www.rhoback.com.